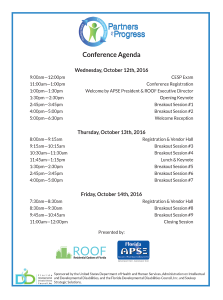 Residential Options of Florida» Conference Agenda Confirmed! Conference time table has been confirmed! Over 50 workshops on housing and employment will be offered throughout the duration of the conference! More details soon to come!